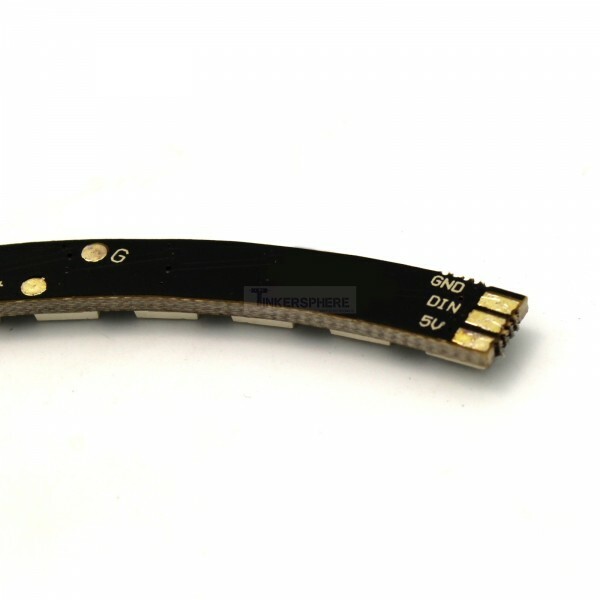 Combine 4 of these to make a large 60 pixel RGB LED Ring or use independently to get a curved LED light. 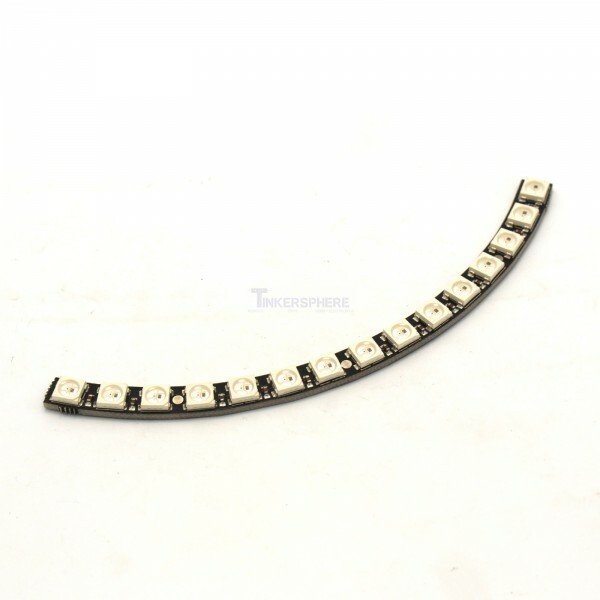 With 4 of these curves you can make a 60 pixel RGB LED Ring that can be set to any color! These curves form the largest ring yet! 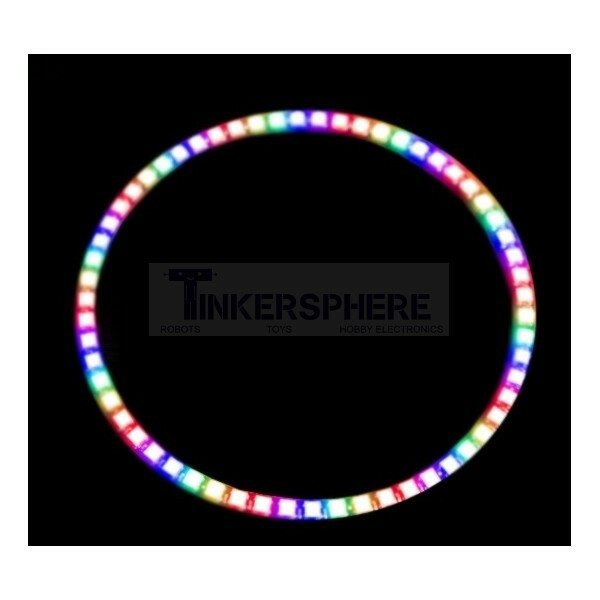 Comes with one quarter ring of 15 x individually addressable RGB LEDs assembled and tested. We recommend you buy four to build the full circle as this is 1/4 of the circle.